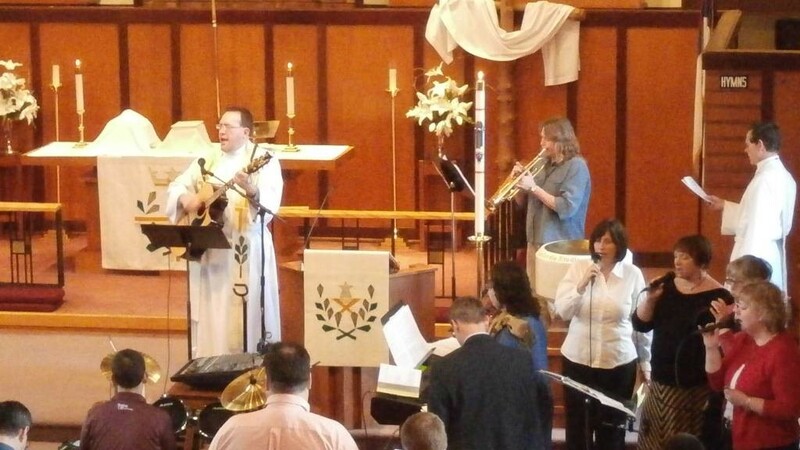 Our New Praise music group leads the congregation in song during our blended worship services (11:00 AM every 2nd and 4th Sunday). We have singers and folks who play a variety of musical instruments. We enjoy giving glory and praise to God through our music! Rehearsals are on alternating Tuesdays, usually starting around 6:30 pm. We are always looking for musicians of all kinds to join our group. Contact Pastor Adam or the church office if you're interested in joining!